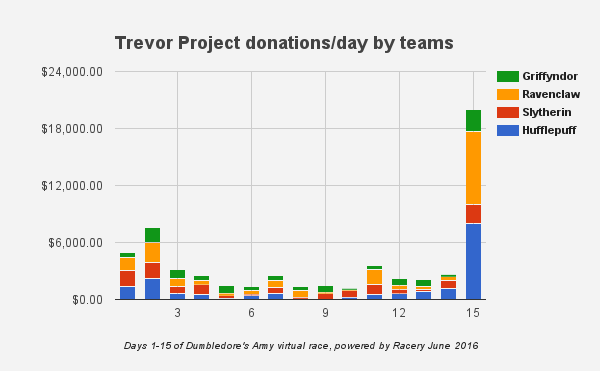 When the dust finally settled, the Hogwarts Running Club raised more than $56k for the Trevor Project. 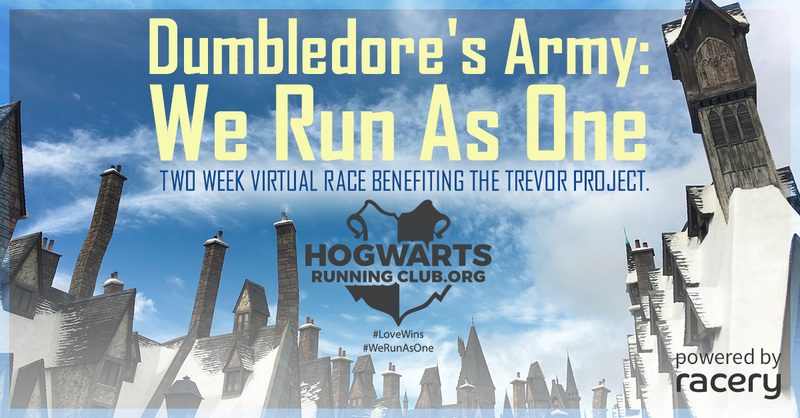 The two week virtual race’s fundraising goal was $10,000. The fundraising sprint in the final day is a brilliant example of the power of competition to unleash undreamed of levels of activity from 1,780 donors. Put simply: some people really love to complete, particularly when they’re helping a good cause. These Hogwarts runners were stupendous. This graph of donations/day per team best captures the explosive power unleashed by teams competing to best each other. The same acceleration caught fire in the miles race. Starting and ending their virtual race at the Pulse Night Club in Orlando, 800 runners covered 38,242.9 miles in 15 days. Participants in the virtual run challenge made more than 31k in-race comments and likes.